Leading teams for forward-looking products. 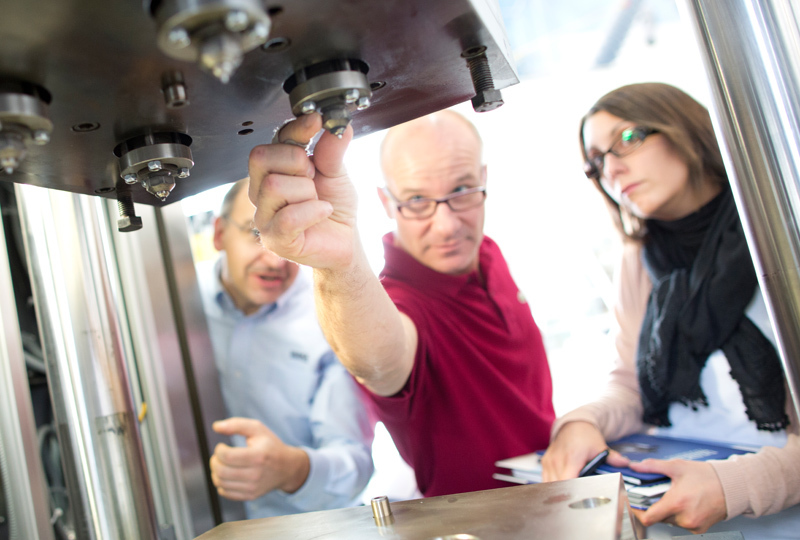 The developments of DESMA are created in the DESMA Process Engineering Center in Fridingen, where they are made ready for production. In addition to our headquarters, expert teams of engineers and process technicians are also available at DESMA sites in the USA, India and China. Together with the service teams, they advance manufacturing methods of DESMA injection moulding machines, ancillary equipment and moulds. Perfect technologies and processes. 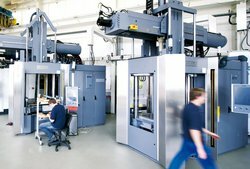 The DESMA Process Engineering Center implements and examines the technology for machines, moulds, brushing systems, demoulding devices and ancillary equipment. New manufacturing systems and original moulds are also trial tested here. 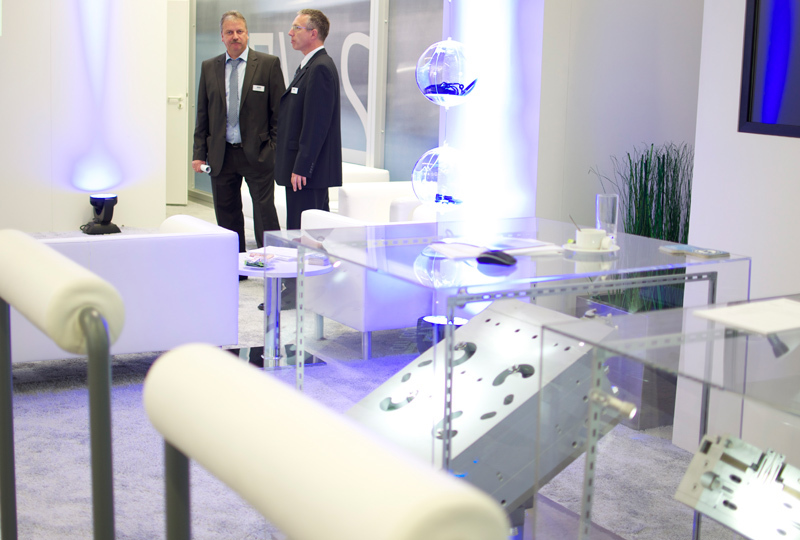 Furthermore, the center offers courses and trade show support to our customers from this location. 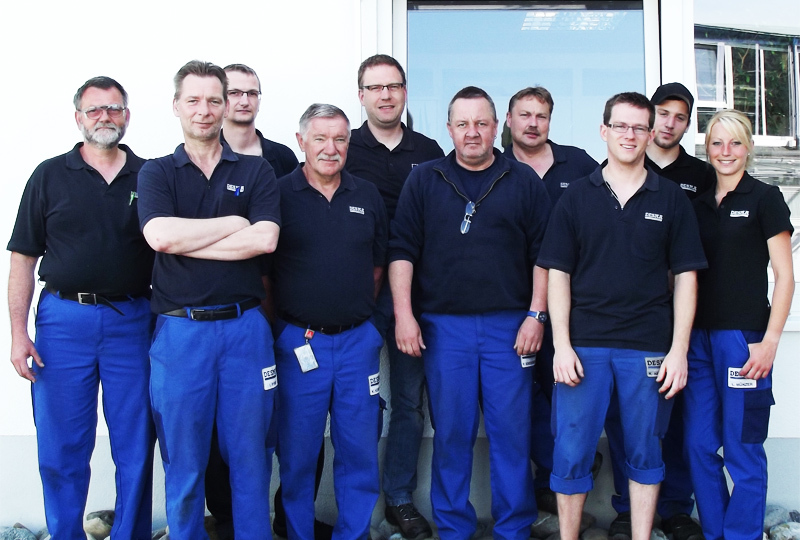 The DESMA team in the process engineering center consists of process engineers with many years of experience, headed up by Uwe Hermle and his deputy Lydia Münzer. The team can call on more support from the Customer Care Center when required, not to mention staff from other DESMA locations. The team tests machines, materials, moulds, brush systems, demoulding and feeding systems for rubber-metal parts and other peripheral equipment. After successful preliminary tests, the DESMA development team builds a prototype which is optimized until it reaches our high quality standards and fully satisfies the requirements of our customers. Further test series make sure that all potentials for optimization are exhausted even after market maturity and launching. 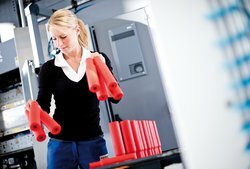 Our moulding trials provide the groundwork for cost-effective production of new rubber and silicone moulded parts in large quantities for customers from a very wide range of industries. 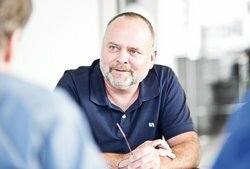 These tests allow for decisions to be made together with the customer whether and how the project can be carried forward. As product life cycles become increasingly short, the requirements for elastomer components continue to change. A pilot series is typically run for new products such as fuel cell seals or insulators. These parts then form the basis for any final modifications to ensure optimal performance in the finished product. 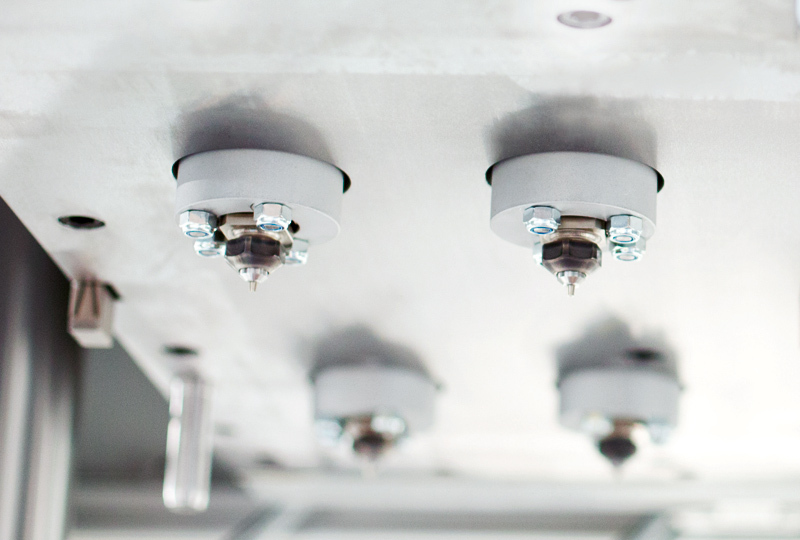 Before the DESMA injection moulding machines, injection moulds and ancillary equipment are ready for production they are tested and adjusted under industrial conditions in the Process Engineering Center. Customer moulds already being used and production processes can also be tested and adjusted at the center. The technical preparations for DESMA’s global exhibition presence takes place in the process engineering center. Machines and moulds are selected, rubber compounds are tested, spare parts are prepared, and the machines are adjusted to the conditions at each show. The Process Engineering Center is able to temporarily take on the manufacture of parts for customers facing bottlenecks in production in order to reduce peaks at short notice. 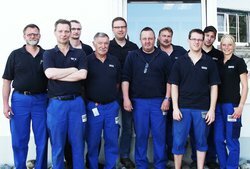 The process engineering center provides training courses for service technicians, trainees and staff from DESMA’s locations around the world. 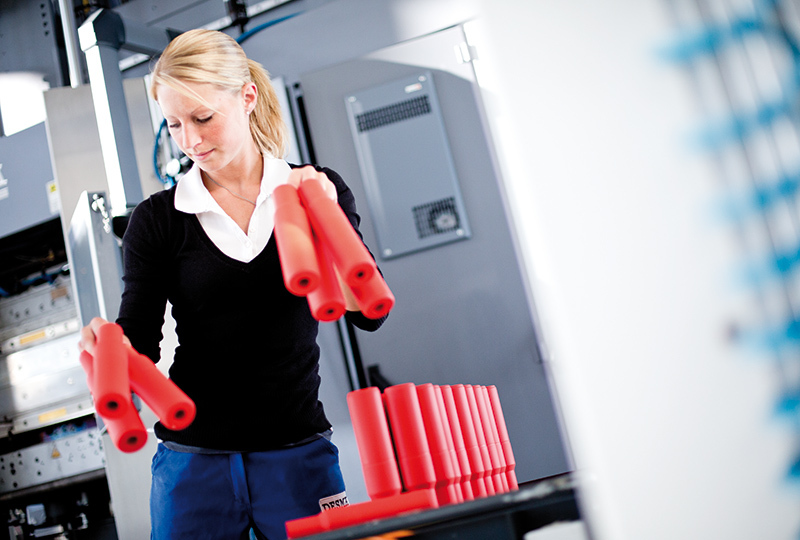 Staff can intensify their technical expertise on specially prepared machines away from the normal production line. The in-house training center for customers also uses the machines, moulds and expertise of the process engineering center. Training and optimization are being closely integrated with one another in the test center to provide customers with real added value.